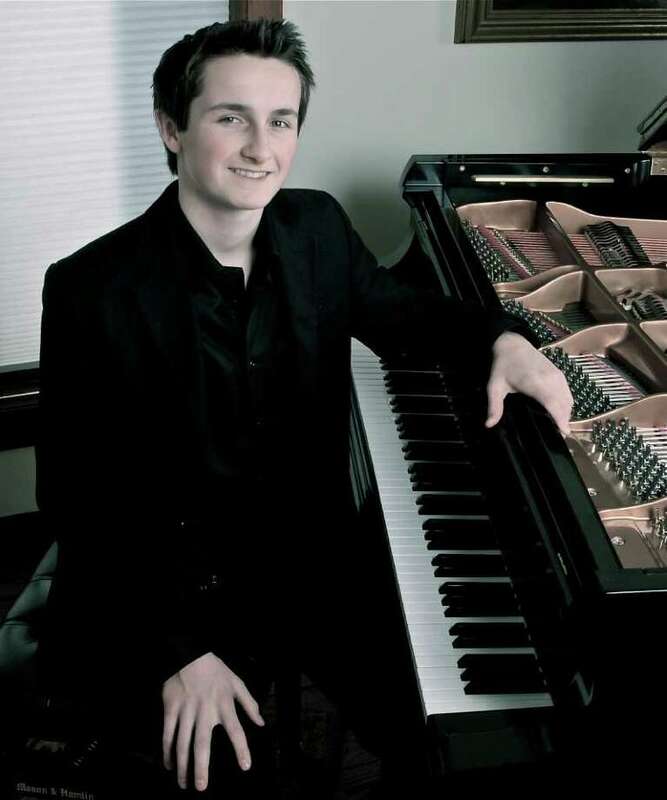 Pianist Alex Beyer, 17, will play Saturday, Nov. 5, at Pequot Library, Southport. Music for Youth will hold a benefit concert with pianist Di Wu and cellist Yves Dharamraj at 5 p.m. Saturday, Nov. 5, at Pequot Library, 720 Pequot Ave., Southport. Proceeds from the concert will go toward Music for Youth and its free programs, including its Young Person concerts. Di Wu, a native of China who was finalist in the 2009 Van Cliburn Competition, entered her first piano competition at age 6 and made her concerto debut with the Beijing Philharmonic at age 14. She came to New York to study at the Curtis Institute, then moved to New York for a master of music degree from the Juilliard School and an artist diploma with Joseph Kalichstein. Dharamraj graduated from Yale University with a master of music degree and artist diploma from Aldo Parisot. He teaches cello at Juilliard and plays as a soloist and with other artists. Wu and Dharamraj will present a bravura program of music by Beethoven, Debussy, Ravel and Liszt. The event will also include cameo appearances by two local musicians, 17-year-old pianist Alex Beyer and 6-year-old violinist Zoe Lonsinger. Beyer, who will perform music of Prokofiev, has been finalist in concerto competitions and has performed with the Bridgeport, Hartford, New Haven, Milwaukee and Waterbury symphony orchestras. Lonsinger, who will perform music by Fritz Kreisler, has been playing the violin since she was 2 years old. She studies with Joey Corpus in Manhattan and has attended the Sound Encounters Camp for advanced string players, the Waterville Valley Music Center Chamber Music Festival and the Suzuki String Workshop at Ogontz, N.H.
Tickets for the concert and champagne reception are $100 for adult reserved seating, $50 student reserved seating, $50 adult general seating, $25 student general admission. The champagne reception will take place in the library after the concert. Tickets may be purchased at Sally's Place, 190 Main St., Westport, or by calling 203-429-1333 or emailing musicforyouthct@gmail.com.